As I sit at my desk I am looking at an ad for a conference called the “The Super Summit”. I think about what that means. It seems we are always striving to be super and not just super at one thing but at EVERYTHING! I think about the conversations I had this week with people trying to be super and even how I can get caught up in that image. In reality we are made to rely on God. We are called to live authentically. Deep down we know that all God calls us to be is ourselves. To do the best we can – but to be real. I wonder why we think we must all be the Super Women or Men – having it all together, doing it all – home, work, friends, church, community…. never allowing ourselves to be anything less than that super person in the eyes of others. To be honest it feels good to think we can do it all, it feels good to have others respect us and look to us, and to be needed. The danger of this entire superman living is that it can’t last. Sooner or later it catches up to us and if we let it, it will destroy us. In the end, we aren’t super human – but for some reason we have the expectation that we should be. We think we should be able to manage at work giving 100%. We think we should be able to manage at home and being the all to everyone. We think we should be involved in our community and our church. We think we should reach out to others. All of the expectations we put on ourselves don’t allow us to be anything but super humans. We get so caught up in the things we should be doing that we somehow forget to live. We don’t have time to enjoy the blessings of the day. And in all this we strive to meet the expectations that others have on us. We don’t give ourselves the freedom to hurt, struggle, or be sad because there is no room or time for the messiness that life often brings. We rarely have time to laugh and to appreciate those who truly care about us and want our best. Many of us have the same expectations of ourselves as leaders. We don’t allow ourselves to have messy lives, to struggle or to have anything less than perfect. We strive to show those around us that we are super human and life is good all the time with no mess. We allow people to see only the productive side of things, all the outside stuff, never allowing them to see the mess backstage (which, is a well-kept secret). Somehow, we think what really matters to everyone and to us is what can be displayed on the outside – productivity. Leaders know that life can be messy. We know that it can be hard, and if we are honest we also know that we are not made to be super human. We know that being real, allowing people to see who we are and who we are not, opens the door to influence another. We know it allows them to see us walking the journey one step at time. Our story allows others to relate to us. Every day leaders don’t have to be super human to make a difference in the lives of others. They understand that leading a life of influence means that we allow people to see us – not who we think we should be – but really see who we are. We know that when we allow others to see the real us as we walk the journey that we can have a lasting impact on those around us. 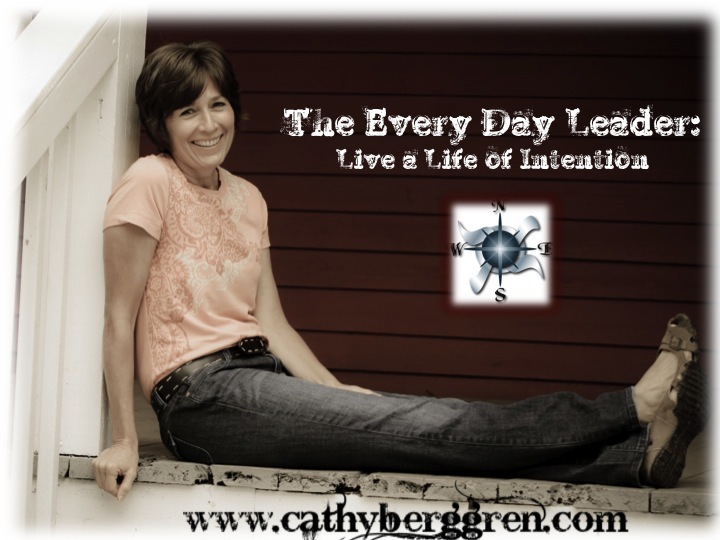 This entry was posted in leadership and tagged authentic, Cathy Berggren, expectations, super human, superman by Cathy Berggren. Bookmark the permalink. Thank you so much for reading the blog and your words of encouragement. Thanks, too, for what you do! I love your words of confident, competent, courageous and calm. I couldn’t agree more! I think we all battle that tendency to be ‘super’ and do try to do it all – which can play havoc on us. Thanks for this article. My name is Gwen Webber-McLeod, President/CEO Gwen, Inc. Gwen,Inc. is leadership development corporation serving clients across the United States. Our mission is: Helping leaders become Confident, Competent, Courageous and Calm. These are characteristics we see in the most effective leaders we serve. Your article resonates with me because my clients also suffer from “Super Syndrome.” I spend hundreds of hours a year inspiring leaders to find a pocket of calmness and to stay in it as much as possible. As one of my coaching clients observed, she absorbs chaos all day and is required to push out calm. When leaders live in “Super” everything mode sustaining the calmness needed to manage and lead becomes difficult. It is imperative for leaders to reduce stress and remain calm because stressed out leaders create stress for teams that deliver stressed results. Thanks so much for sharing these ideas and know I stand with you in inspiring leaders to resist the impulse to be ” Super” all the time.